Even palaces need an occasional make-over and some of Europe’s most luxurious legacy hotels are emerging this season with a new refreshed look. The Belmond Hotel Cipriani in Venice, Zurich’s Dolder Grand, Le Bristol Paris and Lake Como’s Grand Hotel Tremezzo are all sporting the improvement they need to stay above the pack in the competitive world of European luxury. Without ever closing its doors, Le Bristol Paris was able to complete a six year, $196 million restoration. The renovation included refurbishment, extensions and the addition of such new features as fully restored rooms and suites as well as such public spaces as the one-Michelin-starred 114 Faubourg, the three Michelin-starred gastronomic restaurant Epicure, Le Bar du Bristol and the Spa Le Bristol by La Prairie. The restoration is now complete with the entire renovation of the lobby and 19 rooms and suites located on the seventh floor of the hotel. Suites were given extra special attention. The 3,230 square-foot, seven-room Royal Suite received a $1.7 million renovation. The suite recreates the 18th century spirit of Enlightenment France using Louis XV and XVI-style furniture. The Royal Suite looks over the hotel's garden. The garden was enlarged and landscaped with tulips, daffodils, narcissus, yellow laburnum and anthemis as well red and pink geraniums, New Guinea impatiens, and roses. A new white stone paved path, authorized by the Bâtiments de France for historical sites, brings additional light to the garden. The hotel’s Panoramic Suite was used as a location for Woody Allen’s "Midnight in Paris.” The Panoramic suite lives up to its name with its expansive views over the rooftops of Paris. Lake Como’s Art Nouveau palace the Grand Hotel Tremezzo opens for the 2014 season with a new look thanks to 30 newly-renovated Lake View Prestige Rooms and a new signature Historic Suite Aurelia. The three-year renovation has completely redone the 92-room property. The revamped rooms build upon last year’s introduction of the hotel’s eight new Rooftop Suites, each offering a private terrace and outdoor heated Jacuzzi where guests can soak in panoramic views of the lake. All eight suites can be combined to create a Rooftop Penthouse. The hotel’s multi-year makeover also includes the updated T Spa in collaboration with ESPA, featuring the T Spa Suite with a private couple’s massage room. The T Spa Suite is outfitted with a whirlpool tub, sauna and steam bath with contrast shower and cascade jets. 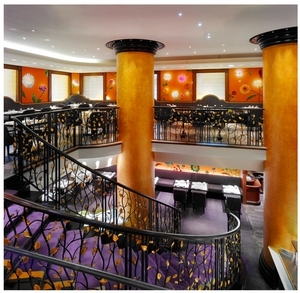 The hotel’s five restaurants feature the cuisine of Gualtiero Marchesi, one of Italy’s most celebrated modern chefs. 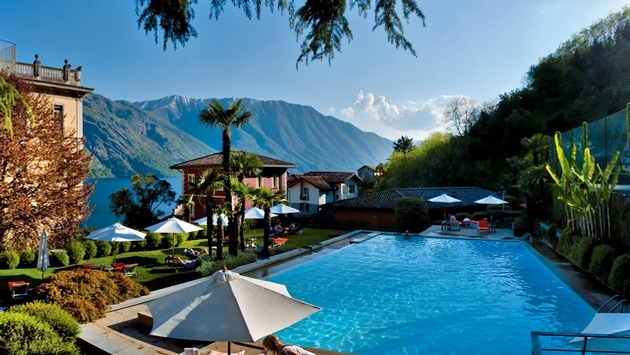 The Grand Hotel Tremezzo, a member of Preferred Hotels & Resorts, was built in 1910. The Belmond Hotel Cipriani, located on the Venetian lagoon island of Guidecca, will launch the 2014 season with the opening of new restaurant, Oro. Interiors were designed by Adam D. Tihany, creator of such restaurants as Thomas Keller’s Per Sé and Bouchon, Le Cirque 2000 and Sirio for the Maccioni family and Daniel Boulud’s Daniel in New York City. The kitchen will be led by Michelin-starred Executive Chef Davide Bisetto. The main dining room of Oro Restaurant sits under a domed gold leafed ceiling embellished with a handmade Murano glass chandelier. Wrought iron chairs and stone tables furnish the terrace of Oro, positioned directly on the Rio San Giorgio. Another new addition is the Italian Enoteca, La Via Della Sete, whose wine collection includes more than a thousand labels. The focal point of the room consists of a large bar decorated with intricate mosaics. Overlooking the open kitchen, Enoteca is connected to the Oro dining room that seats up to 40 people. Owned and operated by Orient-Express Hotels Ltd., Belmond is a global collection of luxury hotels. This coming August, Zurich’s Dolder Grand will unveil the new three-bedroom Terrazza Suite and Gallery Lounges. The Gallery Lounges will add 3,700-square feet of function space through three rooms. The new elements are designed to appeal to extended-stay guests and meeting clientele alike. Located next to the Resort's Golf Wing, the Terrazza Suite will feature 1,280-square feet of living space on two levels. 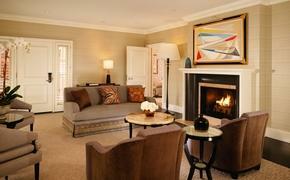 The suite will exude an air of exclusivity with warm golden tones and ornate fixtures. Guests will have access to the suite via private entrance from the street or from the hotel. On the suite's lower level, reached via glass elevator, the flooring will be parquet. The three-bedroom suite will be equipped with bathrooms in each room, and a terrace offering views of Lake Zurich. Three new Gallery Lounges will be located in a terraced area in the hotel. With a lobby serving as a reception area, the lounges will be combinable for a total area of 3,700-square feet. Each room will have access to a terrace with a lawn. Inside, floor-to-ceiling windows will provide a bright ambiance, and various seating arrangements will be available including a living room-style atmosphere with lounge furniture and classic conference décor for productive business meetings. The Dolder Grand, with its 173 luxurious rooms and suites, is a member of the Leading Hotels of the World, Swiss Deluxe Hotels and Design Hotels.